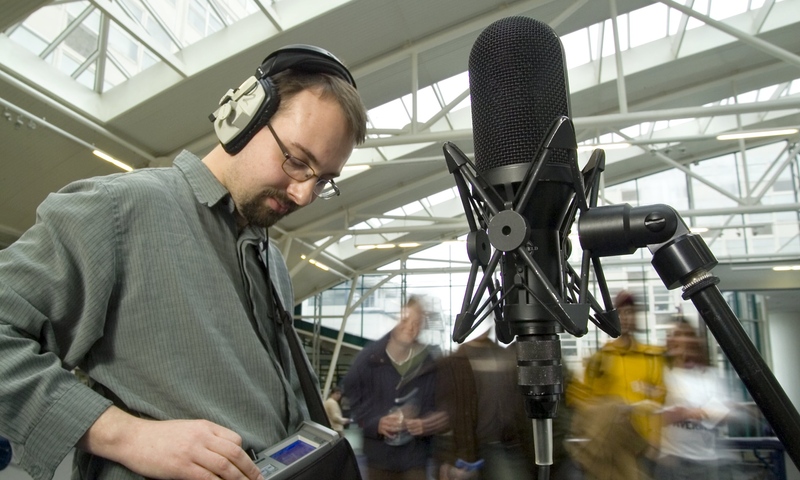 During my research, it soon became clear that although a number of people were carrying out research around the area of Ambisonic surround sound, few people were enabling others to actually use the technique! To hopefully help remedy this situation, I’ve created a number of VST Plugins that can be used in many Digital Audio Workstations (DAWs). Screencast tutorials can be found on the on the Teaching page of this site which shows you ways of using these plug-ins in Reaper. I recommend setting up the project using hierarchical routing, as shown in one of the later videos, but manual routing works too (as shown in the earlier ones). 64-bit Versions of these plugins can now be found directly below. Some changes had to be made to compile these, so I’ve left the older on the page too! Any issues, let me know. The Mac plug-ins are now universal binary so will be picked up as 32-bit for 32 hosts and 64-bit for 64-bit hosts. The PC ones are separate downloads. Just keep them in separate directories for each type of host. WigWare JS Effects (Reaper, or other VST hosts using ReaPlugs) and other stuff! Below are the downloads for the 32-bit only versions. I’ve kept them on the site in case any changes I’ve made to the 64-bit versions above (and new compiles etc.) have broken anything! These plug-ins, when installed (look at the readme file! ), will automatically be used in directx aware media players when a .AMB file is played. Choose the plug-in that best matches your speaker layout! (For more details on the file format, and how to create files of this type have a look here, here, here and here). These were created quite a while ago now, so let me know if you have any problems with them! Will WigWare (PC 1st order) work in Cubase 6.5? Would like to make a binaural mix from b-format. I’m afraid I don’t have Cubase to test on. However, as far as I remember, Cubase has issues with multi-channel work (I think most use Nuendo for this, Steinberg-wise). Hi Bruce thanks for the awesome plugins! Regarding the Ambifreeverb, what format does it want to receive and what does it output? I see that it outputs 4ch so is it FuMa or Ambix? Do I input mono, stereo or Amibix/FuMa audio? Thankyou! Hi. It takes in 1st order Furse-Malham B-Format and outputs the same. You can input mono or stereo and it will give you an output on all four channels, but it’s designed to take in the 4 channels of B-format. Hi. Sorry for the late reply! The 24 speaker decoder was specifically designed for our Multi-channel Lab here at Derby (although it’s now 32 speakers!). What speaker arrangement are you wanting a decoder for? Thanks for sharing these plugs Bruce! Is there any ambisonics reverb for O3A in your collection? Hi. You can just use the 1st order one with O3A (with a plug-in to change to AmbiX). I haven’t made a 16 channel version. The 1st order one was more of a proof of concept, type idea, but could be extended. I may try to do that this term as I’ve had quite a few requests now! What’s the best way to decode binaural recordings to stereo? Can you recommend one of your plugins?